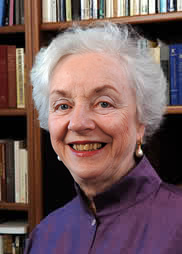 Madeleine Kunin will take part in a "Former Governors Panel" at the 10th Annual State Politics and Policy Conference in Springfield, IL taking place June 3-5, 2010. Visit the conference website above for more information. 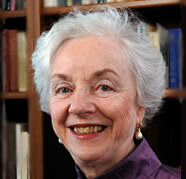 Madeleine Kunin will speak at the Monadnock Lyceum on July 11th in Peterborough, NH. Visit the link above for additional information. "A natural storyteller, Kunin combines her personal journey in politics with the stories of dozens of female politicians. Writing with wisdom, intelligence and warmth, she provides a guide for women at all levels who might seek to enter public life while at the same time shedding light on the challenges facing Hillary Clinton as she strives to become the first female president. The timing of this excellent book could not be better." The debate may be raucous, the process complex, and the rewards not assured, but we cannot stay out of it. Each woman's experience changes the nature and content of the conversation. Politics, as Hillary Clinton said, is not for the faint of heart. But politics is where the decisions are made that determine whether our children will go to war, whether our parents will live in security, and whether Earth itself will continue as we know it.